Discount coupons from Allied Reddi-Rooter are a great way to save on every service that the company offers. First, call us and receive a free phone quote on your service needed. Then print out the proper Allied Reddi-Rooter plumber discount coupon and give it to your technician upon arrival. Your discount will be taken off the invoice upon completion of the work. Be sure to stop back often as coupon incentive change throughout the year. Present this coupon to your Cincinnati or Dayton technician at the time of your service to receive the discount shown. *Cannot be combined with any other Allied offer or incentive. One coupon accepted per job. *New customers only please. Present coupon to your technician at the time of your service to receive the discount shown. Cannot be combined with any other Allied offer or incentive. One coupon accepted per job. 10% off plumbing repair labor* beat even our low fee! Present this coupon to your technician at the time of your service to receive the 10% discount off of labor (does not include parts). *Cannot be combined with any other Allied offer or incentive. One coupon accepted per job. 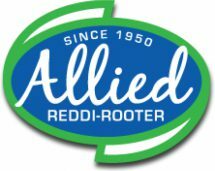 Please print this Allied Reddi-Rooter coupon and present to your technician at the time of your service to receive the discount shown. *Cannot be combined with any other Allied offer or incentive. One coupon accepted per job. Click logo to see BBB page.